Whether you run a college, public, or school library, I feel pretty certain that your patrons would appreciate a Star Wars event, especially if you can snag Oscar Isaac for an appearance. And it does not have to take a ton of work to make it special. You’re welcome! Making it real: Find your local 501st Legion, an all-volunteer organization of awesome folks who dress up as Imperial Army crew (including Stormtroopers, Jawas, and Vader himself.) They are the preferred costuming group of Lucasfilms when Stormtroopers are needed for events. They LOVE doing community service and you can request an appearance. Plus, since they do this all of the time they are sources for what works and what does not. Don’t forget the Rebels! See if your area has a Rebel Legion, recognized by Lucasfilms as a premier volunteering and costuming group. They might be able to supply a Wookie, Princess, Jedi, or Rebel Pilot for your event. Neither group is affiliated with Lucasfilms, but are formally recognized by Lucasfilms for their high standards of costuming, volunteerism, and professionalism. Did I mention they do this for FREE? And most of them do it to share the love, so they tend to be really good with people. 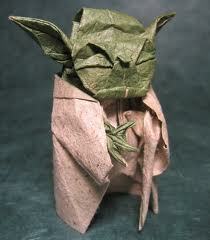 There is no try in origami, only fold. 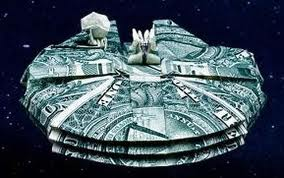 Activities: There are tons of Star Wars-themed origami projects ranging from easy (Vader) to harder (various ships). You can tie these directly to the popular (and really good) Strange Case of Origami Yoda books which follows a 6th-grade boy who talks to his classmates through a origami Yoda, who seems to know a lot about life and things like when pop quizzes will happen. Teach patrons how to speak a Star Wars language so they can understand Jabba or the Ewoks without subtitles! This guide includes history of the languages and sound clips. Have your patrons play word games or charades with their newfound skills. Pumpernickel bagels substitute nicely for real hair. Have your patrons create Jedi outfits out of brown paper sacks or brown t-shirts (depending on your budget.) This blogger offers easy directions for making Jedi tunics out of paper bags. Offer Princess Leia hair tutorials or styling. This how-to-draw Star Wars characters guide is great for teens. The results are a bit Manga-y. And the official Star Wars activities page is excellent, offering ideas ranging from a Hannukah Droidel to Admiral Sackbar Puppet. 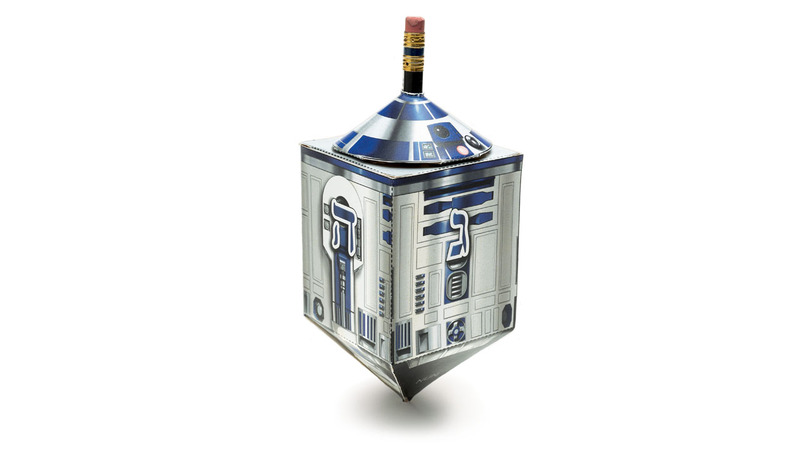 Don’t forget to put out books, movies, and other items in your collection related to Star Wars. Think broadly and include topics like fencing, Zen Buddhism, physics, and astronomy. Finally, have your staff dress up as secondary or made-up characters (unless one of you can pull of Vader, costume and all.) Patrons love being their favorite character and so we should be nice and let them play Han. We all plan to go as Jedi Masters (easy costuming) in order to keep the peace and guide our patrons through their experience. Keep that Force with you. Let us know if you want to write up your experience!